Marugen Koi Farm is pleased to present a lovely Tancho Sanke, with the bright red tancho patch on its head shaped like a “Cherry Fruit”! High quality Tancho Sanke Koi with underlying sumi yet to surface on its porcelain white shiroji skin. 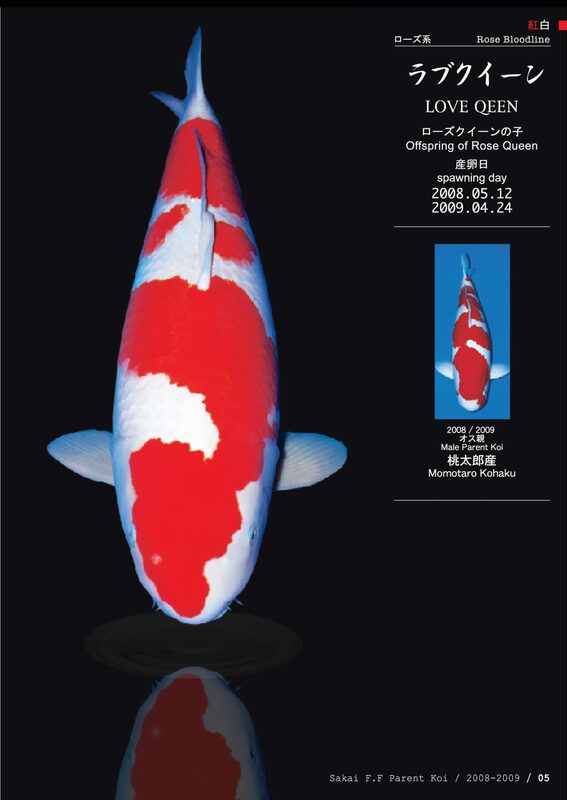 She is an offspring of our female Oyagoi named “M Tanchozuru“, a beautiful Tancho Kohaku, bred by Sakai Fish Farm. Interested to view this lovely Marugen’s Tancho Sanke, and other Tancho Kohakus and Tancho Sankes available, as well as other specially selected “M Tanchozuru” top offspring picks, please fill in your contact details below, and we will contact you soonest possible to arrange an appointment to visit our farm.